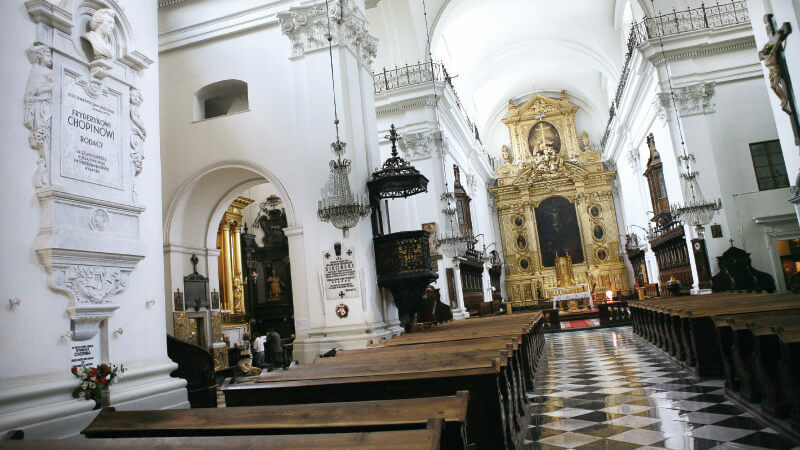 The Warsaw Saint Cross church where rests the heart of Polish-French pianist Frederic Chopin. Among the world’s most cherished musical virtuosos, Chopin may finally have given up the cause of his untimely death. The prolific 19th-century Polish-French pianist and composer died at the age of 39, of what had long been believed to be TB. The prolific 19th-century Polish-French pianist and composer died at the age of 39, of what had long been believed to be tuberculosis (TB). However, in 2008, Polish medical experts raised the possibility that Chopin — whose health had always been very frail — had actually suffered from cystic fibrosis (CF). “The lesions which we saw fit well with the initial diagnosis which was held for years, namely tuberculosis. The lesions are clearly visible on the pericardium of Chopin’s heart,” Witt said, referring to the organ’s outer membrane typically affected by complications stemming from TB. But without DNA tests, Witt admits that he cannot entirely rule out the possibility of CF. In 2008, Poland’s culture ministry rejected a request by academics to run DNA tests on the relic to check for the CFTR gene, a telltale sign of CF, over fears the procedure could irreparably damage the heart. Whether Chopin suffered from CF “is still debatable”, Witt told AFP. Records show that as an adult weighing 40kg at a height of 1.70m, Chopin was chronically underweight, a typical symptom of CF. Chopin’s heart is kept inside a pillar in Warsaw’s sprawling and ornate baroque Church of the Holy Cross. After his death in exile in Paris in 1849, it was brought to Chopin’s native Warsaw that same year by his elder sister Ludwika to honour his dying wish. The rest of Chopin’s remains are buried in the French capital’s Pere Lachaise cemetery. Born in Zelazowa Wola near Warsaw in 1810, Chopin composed many of his most moving pieces in his father’s native France, where he ended up after an 1830-1831 uprising of Polish insurgents against the 1795 partition of Poland by Russia, Prussia and Austria.